In the 1960s, Madison Rose Lane was a K-8 school. And I attended it all nine years, from 1960 to 1968. 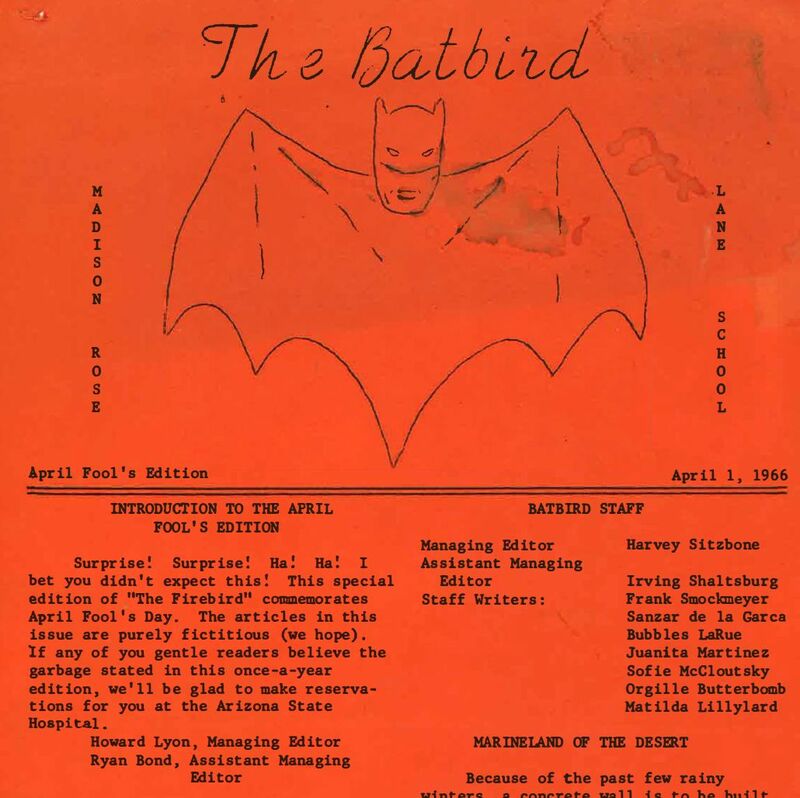 A small, mimeographed newspaper was written by the students and named The Firebird. On April 1, 1966, the editors put out a humor issue.